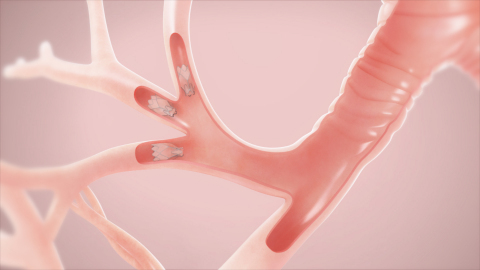 Based in Redwood City, California, and Neuchâtel, Switzerland, Pulmonx is the world leader in interventional pulmonology treatments for obstructive lung disease. For information on the Zephyr Valve, visit www.MyLungsMyLife.com. For more information on Pulmonx, visit www.pulmonx.com. 1. Centers for Disease Control and Prevention. Summary Health Statistics Tables for U.S. Adults: National Health Interview Survey 2016. https://www.cdc.gov/nchs/fastats/copd.htm. Accessed June 22, 2018.